Y'all make it all worth it! Thank YOU for a GRRRRRREAT Yarn Crawl! This week's newsletter comes to you from a tired-but-happy Yarnivore Staff! We had such a great time seeing so many of you this year and helping you feed your need! Dawn and Wendy especially thank all of you for the fabulous reception to our Yarn Crawl Patterns! You have no idea how heart-warming it is for us to hear "Wow!" and "Cool!" and "That's so cute!" when people see our designs. Didn't get to the Yarn Crawl? You can still get the patterns! They are available for sale in the shop and will both be on Ravelry soon. Reminder, Yarn Crawlers who want the digital version of Wendy's Splash Socks can go here, put the pattern in their shopping cart, and enter the coupon code on the back of the printed pattern to get the digital one for free. Thank YOU for making this year's Yarn Crawl so GRRRRRREAT! Prizes ready to be delivered to Yarnivore's Daily Prize Winners! We had a great time yesterday making pom-pom decorations for Halloween! Just look at how cute these turned out. 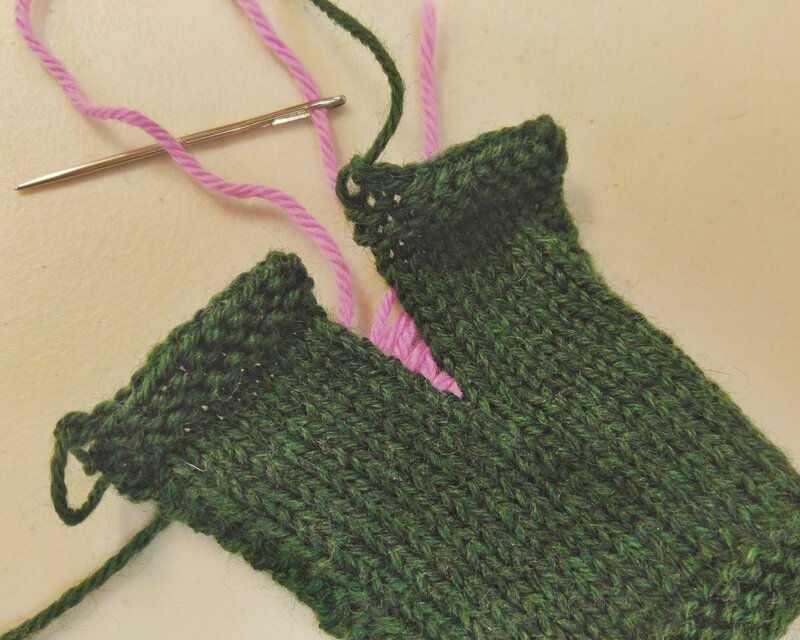 The pattern is PART of the pom-pom, not just glued on. We made spiders, bats, jack-o-lanterns, and ghosts! Keep your eyes on the December calendar, because we're going to do another pom-pom class featuring winter holiday designs (preview at the bottom left of the picture). We saved y'all some goodies from all our Yarn Crawl trunk shows, including yarns from Crafting My Chaos, Blue Mule, Kyla's Lab, and the Knitting Artist, as well as a couple of baskets of Wollmeise. We've got Turtle Looms, too and hand and body care from Adore! We've also gotten some shopping bags with our new mascot, Panthera Yarnivorus and have some with the Yarnivore Cat and Yarnivorus Rex, too. If your highlighter tape gets dirty too easily, you'll love this tip! Put your pattern in a plastic sheet protector and then place the highlighter tape over THAT! No ink to lift, so it will stay clear as a bell! Do you remember these slippers from back in the day? I think everyone’s Grandma made them. The old-fashioned version is garter stitch and ribbing knitted flat, then sewn up with seams at the back of the heel and the top of the foot. Wendy’s new and improved version is just as quick and almost as easy, but done with NO SEAMS so that the foot stays happy and comfortable for an entire day of hanging out in your pajamas. 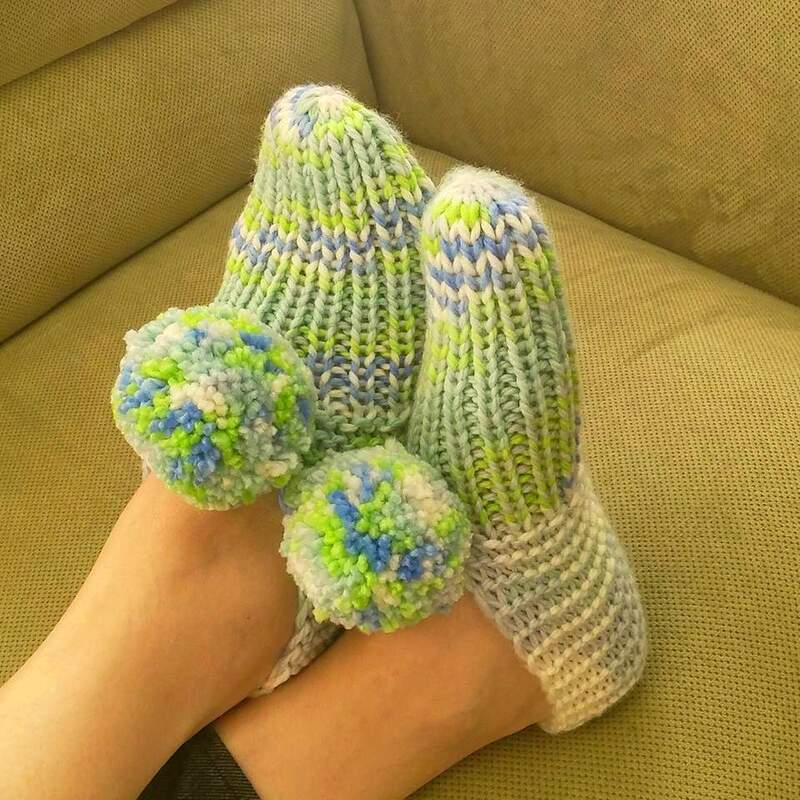 You can even wear them to bed for soft fluffy bed socks. We all love to knit, but hate to sew the pieces together! Not any more. Learn the secrets to perfect finishing – nearly invisible seams, picking up the perfect number of neckline stitches (without counting!) and much, much more. 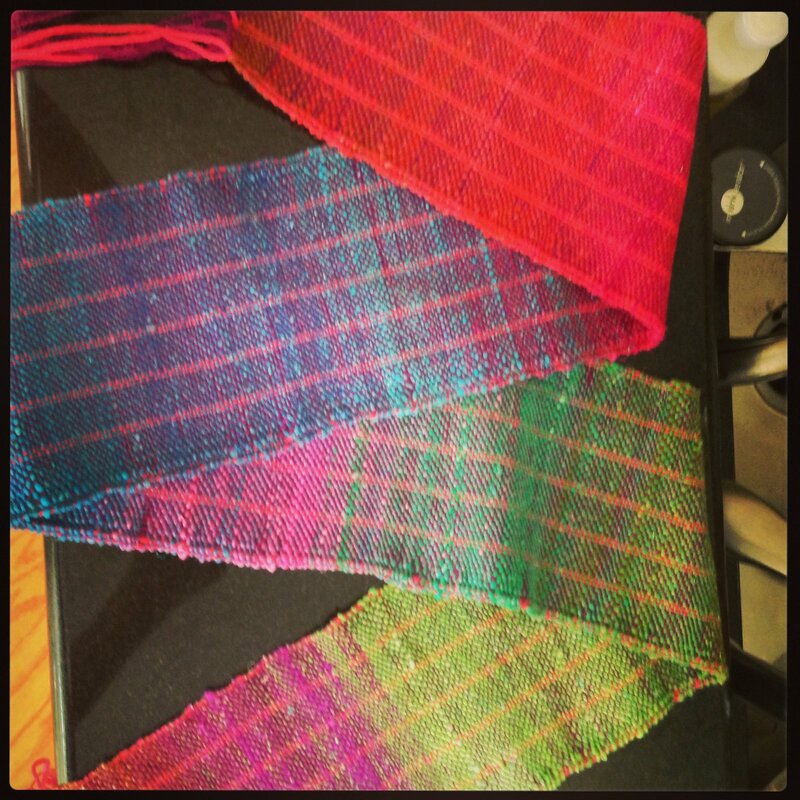 There is homework for this class – you MUST have these swatches finished before class. 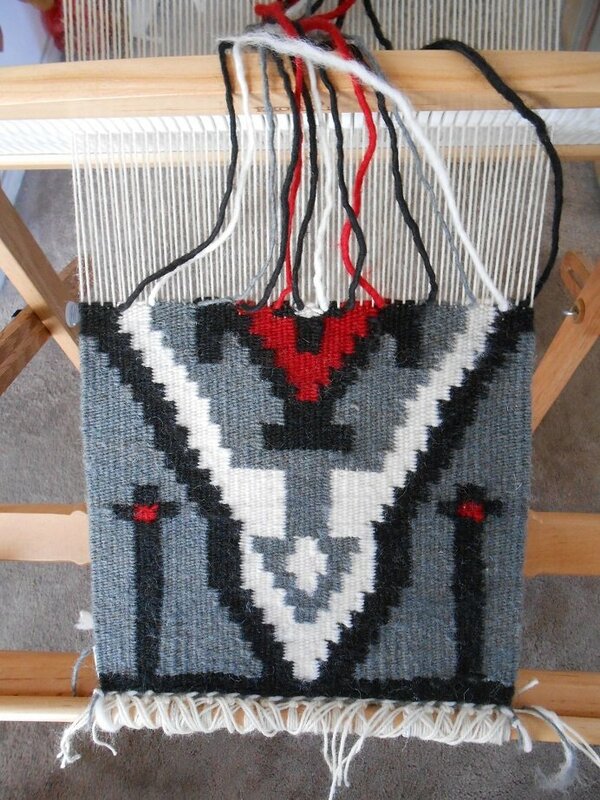 Ever wonder why some yarns work for one kind of project and don’t work at all with another? Confused by the dizzying array of fibers, textures, and colors? This is the class for you! 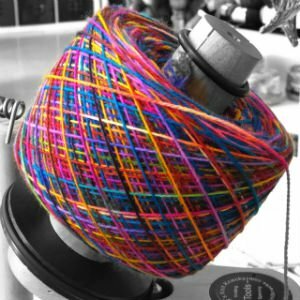 For both knitters AND crocheters, this class will help you choose the right yarn for each project, so that you save time and money and get the most bang for your yarn buck!